In 1975, Parliament passed the Ontario Lottery Corporation Act – later revised at the Ontario Lottery and Gaming Corporation Act – and the first drawing was done in May of that year. From there, they have expanded on the lottery games in both regions and nationally. 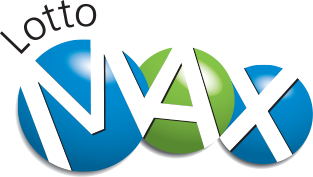 One of those games is Lotto Max, which was first produced in September 2009. It is currently the most popular lotto game in the country for its high earnings and easiness to play. It’s simple. Go to a lottery retailer for a slip and pick 7 numbers from 1 to 49. There are five games per ticket; the more games played, the more being played for the chance. For Quick Pick, the numbers are picked automatically. Then, there is combination play, where, on one ticket, eight or nine numbers can be picked out in order to be eligible for Maxmillions drawing. The 8-pick is $40 while the 9-pick is $180. Finally, there is Group Play, where people can pool money with their family and friends and each can submit tickets together where one winning ticket can be split up. Have a designated captain to manage all the numbers picked and the one who could claim the prize. For the main draw, the odds of winning at all are 1 in 6.6. If hitting all 7 numbers, is 1 in 28,633,528 with 89% of the total amount being paid out. For 6 of 7, it’s 1 in 99, 768 and 3.35% of the entire amount. For 5 of 7, it’s 1 in 1,584 with 4.25% of the whole amount. For 4 of 7, the odds are 1 in 71 and a payout of $20. And, for 3 of 7, the odds are 1 in 8.1 and a free lotto ticket to play again. Have the winning ticket signed and fill out the information on the back. When buying the ticket, keep the receipt as verification. For low prizes, go to the retailer. For bigger prizes, mail it to the OLG Mail-in Prize Centre. It will take about 4 to 6 weeks to process it. For group play winners, have each member’s name, address, postal code, telephone number, proportion of the prize, and signature. Other prizes can also be redeemed at certain casinos, if the ticket was bought there. As of the 27th of July, the jackpot is at $15 million. It has even expanded before to $60 million, so, if nobody wins this round, it will grow again. There are plenty of games as party of the Canadian lottery to play and win. Thousands of people have become instant winners and their lives have changed. So, come on in and play a ticket for the big bucks that is the Lotto Max! Lotto 6/49 is among the national lottery games in Canada, together with Lotto Super 7. The most famous and profitable Canada Lottery game is Lotto 6/49. This game was started in June 1982 and was the initial national lottery game in Canada to permit players to select their personal numbers. A $54.3 million jackpot was paid out in 2005 for Lotto 6/49. The cost of Lotto 6/49 tickets is just $ 2. With this small amount, you stand the chance of being a winner of millions! All you have to do to play Lotto 6/49 is to pick six digits from a group of 1-49. You can select 6 figures in any manner you desire. For instance, some individuals use particular birthdays, other specific dates, their phone number or addresses. Some individuals even apply special formulas to select their figures. In case you find it challenging to pick your individual numbers, you are able to choose and allow the terminal to pick the digits on your behalf. In case you manage to match even 2 digits of the numbers you have, together with the bonus ball, you obtain a cash prize. In case you match each of the 6 figures, you become a winner of the jackpot. 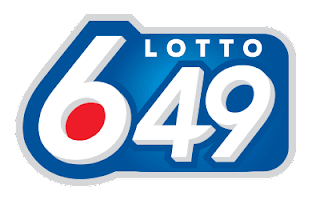 The jackpot for Lotto 6/49 starts at $ 3,500,000 and the drawings for Lotto 6/49 take place at night, each Wednesday and Saturday, after 8:00 pm CT. In 2005 on 26 October, there was a drawing for the hugest jackpot for Lotto 6/49 as well as a Canadian lottery record. One winning ticket valued at $ 54.3 million was bought in Camrose, Alberta. This ticket was bought by a group of employees for oil and gas plant. Initially, the jackpot was approximated to be $ 40 million. However, due to fast sales, it increased to an entire $ 54,294, 712. It was believed that one out of 3 grown up Canadians had bought a ticket. For this single lottery, a value of $ 99.4 million for tickets was traded only for this single lottery. Winning numbers for Lotto 6/49 were 5,11.20,30, 37 43 plus a bonus number of 31. One can buy tickets prior to 8:00 p.m. CT at night on Wednesday and Saturday. In case you do not reside in Canada and you want to play this lottery game or another one in Canada, just log on to the official website of your state. In addition, you can check official state websites to get an update of custom lottery news. 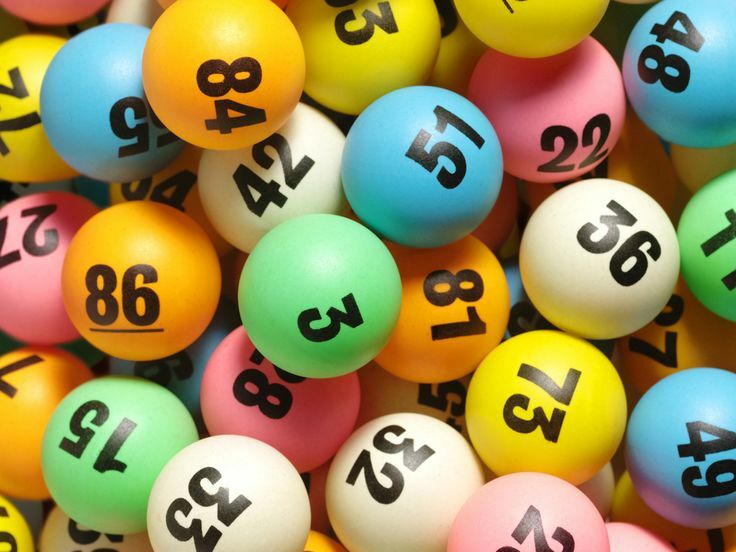 A lot of sites provide lottery number generators in order to assist in simplifying the selection of your lottery number. If you want to personally buy your tickets, you can visit a local lottery terminal also. Despite the method you choose to buy your tickets, or the tickets you opt to purchase, it is a guarantee that you are going to have great fun! In March 2017, Lottario produced another millionaire after winning $1,561,811 from the March 4 draw. The lucky winner was none other than Michael Vojin who runs a small family business. He joined the millionaire’s club and had a lot to say about his plans for how he will use the money. Vojin always plays the same numbers for Lottario every week. His pick constitutes of old jersey numbers, birthdays and year of birth. While most may say that playing the same combination of numbers is redundant, Vojin begs to differ. It is this strategy that allowed him to win over $1 million dollars in the Lottario game. Vojin took his pick in West Lorne on Graham Street at B & J Variety Store. He explained that he always takes some quick picks when the Lottario jackpot is over one million. He did the same this time around and then went to check his tickets the following week on Monday. When he got to the shop, he asked the retailer to scan his ticket. After he had scanned the ticket, he and the retailer froze in shock as they realised that they had a Lottario winning ticket in their hands. OLG then called the store in order to have a chat with him. He says that at that time, all he could remember was his mother who had died recently and he felt like she was looking down on him. Michael Vojin was excited about the news and called his wife straightaway. She thought that he was joking and then started crying when she realised that he was serious. He then drove to the house to show her the Lottario ticket and confirm that he was indeed telling the truth. His wife cried some more after she had seen the ticket and confirmed that they were winners. Vojin, 71 years in age, has been running the family business for 24 years. He says that he and the wife will now be able to retire and relax. He also says that the Lottario winnings will allow him to treat himself to a vintage car. He recognises that he can now do many things that he was not able to do before the win. Additionally, he says that he will pay some bills that they have and then use part of the money to help his family out. For Vojin, he is happy about the Lottario results because they have given him an opportunity to be able to help the people around him as well as do some things that he has always wanted to do but did not have the money to. Michael Vojin is among many other Lottario winners who have been able to transform their lives through these lottery winnings. The game is easy to play and is also affordable. If you would like to try out your odds at winning, buy a ticket today. You never know, you could be the next Michael Vojin – He also thought that there was no chance that he would win the jackpot up until the very minute that he realised he had! With millions of lottery games players around the world, it is only normal to have news relating to lottery games come up almost every day especially as different lottery systems have their draws slated for almost all the days of the week. From jackpot winnings to stories of winners, there is always something to report as far as the lottery world is concerned. 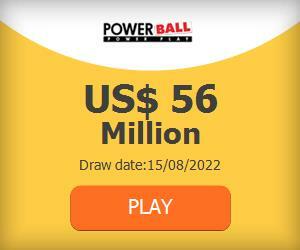 It has been a while since anyone won the jackpot prize in any of the very popular international lottery games but winners keep coming up at every draws with many people being able to match up five of the drawn numbers. December 27, 2014 had 5 players match the first five numbers for a prize money of a million dollars for the Powerball lottery. The winners came from Idaho, California, Rhode Island, and Texas. For the Mega Millions lottery, the draw that took place on the 26th of December 2014 had two players emerge as winners of the one million dollars prize money having matched the first five numbers. The winners came from New York. A very good gift on boxing you might say. While many are trying hard to make sure they earn a prize money, others have won and have decided to let the prize go unclaimed. This was the case of the winner of the $1 million prize money that let the Powerball winning expire without coming forward to claim his/her prize. The Powerball continued to produce winners with 4 lucky players winning the prize money of $1 million after matching the first five numbers drawn. The winners came from Oklahoma, Texas, Washington, and North Carolina. It has not all being lottery players from the US going home with millions in lottery money. Winners also emerged from some parts in Europe especially in Spain where some lucky Spaniards could be sure of having the best xmas celebrations in a long while after sharing in the 2.2 billion euros doles across the country. Winners came from all spheres all life from restaurant workers to care home residents. Even with lottery news, there is really no news with no bad news and the story of the scamming store owner in Massachusetts is a typical one. The store, RD's Deli and Market will no longer sell lottery tickets after it was discovered that owner of the store tried to scam a woman believed to be mentally unstable out of her winnings. The news on lottery and activities surrounding different lottery games cannot be fully exhausted as happenings occur by the minute. What would you do with $100 million? Would you invest in real estate, or put most of it in savings at the bank or maybe you would blow it all in a couple years on luxurious things like yachts, cars, diamonds and parties? Whatever you choose to do with the money, it will change your life forever for sure. This current Mega Millions lottery jackpot of $119,000,000 is your chance to get a grab at a jackpot prize the size we don't see every day! Whats even more good news for you lottery lovers from Canada is that you can now purchase tickets to the Mega Millions lottery game online at websites such as Lottosend.com. On our blog, we will update you every now and then on tips, promotions and news regarding lottery games, we hope you enjoy our blog and we are keeping our fingers crossed that you will win the upcoming draw and bring home over $100 million in winnings!